Propel your shifting skills to “track-ready” - learn to drive a manual transmission at pro level. Discover high performance driving secrets from past racing instructor and two-time winner of the Toronto Star – Wheels Driver of the Year contest, Warren Spagn to maximize your driving pleasure, on or off the track. 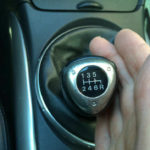 Drive a manual transmission stress-free with simple, logical, easy-to-remember, exercises to develop the most highly effective driving techniques. Restraint-device injuries: Make adjustments that reduce risks & optimize control. Target for theft: Secure your car properly when parking overnight, anywhere. The run-away car: Use precise start-up, shutdown, and parking protocols. Errand veering: Shift by feel, and address one of the root causes of lane wandering. Unexpected rollbacks: Learn two hill-start methods and when to apply each one. Parking mishaps: Have precision speed control when parking in tight spaces. Causing traffic tie-ups: Get out of a stall, or quickly restart if the engine stalls. Superior vehicle stability in adverse weather conditions with smoother shifts. Full control when turning with smooth, timely downshifts. Shorter stopping distances in critical situations. More confidence when stopping on a grade, knowing you won’t roll back. Optimal useful clutch life – stretch it up to 400,000 km or more. Fewer costly repairs …by recognizing faulty clutch symptoms in advance. Learn on carefully chosen, quiet, residential or industrial streets in a clean, late-model, fully-insured, Shifters trainer-equipped vehicle. 450 minutes of one-on-one, private coaching with a personable and knowledgeable personal trainer using our minimal-intervention teaching methods to foster independent decision-making, right from the get go. 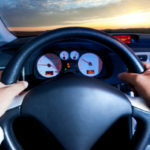 Gradually integrate all of the LS-04500 Introductory Course manual driving techniques into everyday, real-life, city traffic driving situations. Learn strategic timing shortcuts that take advantage of “gear range overlaps” to avoid unnecessary shifts, and minimize vehicle wear and driver fatigue. Learn tips to flow with traffic pace by preparing for traffic speed changes, well in advance. Stranded in busy intersections: Clear amber lights confidently, with ample time. Rapid speed loss: Climb steep hills with steady assurance of controlled speed. Sudden run-away car: Time gear changes cleverly when shifting on hills. Clutch burn-out: Handle steep hills without panic roll-back or delaying traffic. Stress-free decisions while managing multiple tasks at busy intersections,. Worry-free stops and launches, on any hill in busy traffic. Quicker, unwavering traffic light startups. Optimized clutch control so you can squeeze up to 400,000 km or more out of it. Longer-lasting vehicles with reduced engine and transmission wear-and-tear. Reduced driver distractions due to redundant driver tasking. Begin to drive a stick shift stress-free with simple, logical, easy-to-remember exercises to develop the most effective driving skills, right from the start. Private, one-on-one coaching with a personable, knowledgeable trainer using our minimal-intervention teaching methods. We have several convenient meeting points throughout the city. Each person learns at their own pace. On average, someone with little or no shifting experience will usually be driving independently in busy traffic by their fifth session. Some may learn faster, particularly those with motorcycle experience whereas less experienced drivers or those new to driving in a big city may take longer. By the end of the first session we can usually help you determine approximately how many sessions you might need. How comfortable are you in busy traffic? How often do you drive on freeways? How far in advance are you booking? Depending on the time of the year, and your availability scheduling may begin within a few days a few days or a few weeks. Do you provide the training vehicle? Yes. The vehicle is equipped with passenger-side dual clutch/brake/ gas pedals, trainer dual mirrors, and visual training aids. Can I bring someone along? No. All sessions are privately taught, one-on-one. 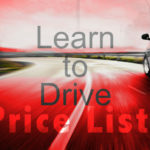 Do you have Beginner Driver Programs that grant insurance discounts? Always bring your driver’s license, and required corrective eye wear. Less than 24 hours notice or no shows. If you anticipate being late please notify Shifters ASAP, in Toronto call (416) 921-7845 or 1-888-407-5453. Your instructor will wait for 30 minutes after which point you forfeit your lesson as a no show.